MONTREAL - Montreal Canadiens general manager Marc Bergevin announced Wednesday that the team has agreed to terms on a one-year, two way contract (2016-17) with defenseman Joel Hanley. Hanley, acquired via free-agency on July 1, 2015, made his NHL debut on March 20 after making his way to the Canadiens as part of an emergency recall to bolster the Habs blue-line. 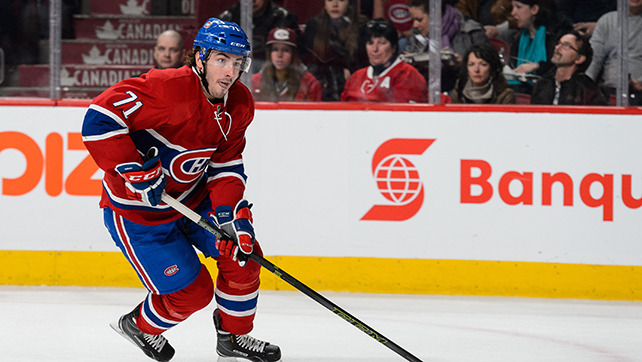 The 24-year-old rearguard laced up the skates for 10 games with the Habs where he registered six assists. Hanley had previously suited up for 64 games with the St. John’s IceCaps of the American Hockey League registering 13 points (5G-8A).